Non of my parts made for quad or triple mod used to have screw holes. Avoiding them makes parts more simple and build more user-friendly. It is 9mm shorter than usual C8 head. Little update related with restocking popular products. S2+ pills are as cheap as never but dont have slots for screwing. It was never a problem for my own builds, hope this is not biggest disappointment. P60 quad pills now have two versions supposed to close two most popular request – make it cheaper and make it bigger. Aluminium version is made to fit any host, with or without copper foil. Copper version have bigger fit size and it should be possible to find a combination of drop-in and brand host for great press-fit (with or without little sanding). Cheap hosts are usually oversized by 0.4-0.6mm so this version should still fit any cheap host with ot without copper foil. Both have regular 5mm depth under driver cavity – I have spend lots of machine hours in deeeep driver pockets before (but never saw someone actually used this opportunity). When you say slots for screwing, do you mean around the driver side to hold down the driver? Or something else? You can check first post with actual photo. Slots are necessary to screw bare pill in and out from the host. In real life you never need this. First you build an assembly (pcb with leds+pill+driver), tight the driver retaining ring hard and after you fit this sandwich in the head. For screwing whole assembly in and out you can use holes or slots in the driver retaining ring. You can check first post with actual photo. Slots are necessary to screw bare pill in and out from the host. In real life you never need this. First you build an assembly (pcb with leds+pill+driver), tight the driver retaining ring hard and after you fit this sandwich in the head. For screwing whole assembly in and out you can use holes or slots in the driver retaining ring. Just to clarify, the copper pill you are selling does thread into the head but can’t fully tighten without slots. You are suggesting to use the retaining ring (which does have slots), to screw into the head and force the pill down? Is that friction between the two pieces enough to rotate the pill? Have you ever build any flashlight? Both threads are right handed. Driver should be tightened hard for better current transfert. Optics+pcs+pill assembly shouldt be tightened as hard as driver, otherwise you can ruin the optics. If you screwing assembly inside head, you are applying force is same direction that tightens driver retaining ring – friction does not matter. If you need to put assembly out of the head, you are applying force in other direction – friction matters. Friction force is related with longitudinal force (inline with threads center axis) which depends from tightening torque and thread pitch. Retaining ring thread pitch is 2.5 times less that pill thread pitch. In combination with bigger tightening torque, you can put the pill out with ease while retaining ring is fixed in its position. Thank you for your help, I’ve sent you a PM with my order. PM sent with my order. Still have few empty (no pill inside) Mag D drop-ins. If anyone interested, I could try to make some bigger pill for different application (probably multi-led). I ordered a Maglite heatsink with XHP50 on it. As a new member I was very pleased with how smoothly things went and how helpful Kiriba-ru was. The quality was great and my dad’s Maglite has never been brighter! Great stuff here at great prices. Sent a PM with my order, cheers. I had ordered some stuff. Fast shipping and great quality. Thx! As did I! Ordered a couple triple pills, they were shipped extremely fast and excellently packaged. 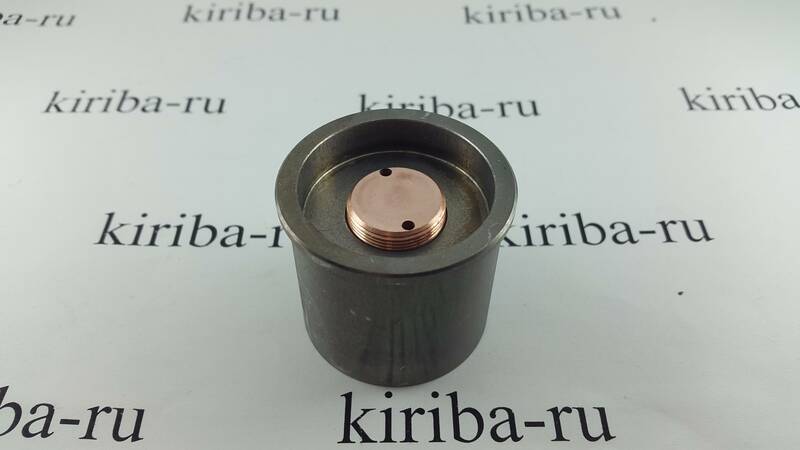 Kiriba-ru, I would potentially be interested in some of those mag heatsinks with a larger pill. I was very happy with your other ones. I dont plan making more mag parts. They are not popular. Last 4pcs with soldered XHP50 are in stock. Also, I have 3pcs of empty aluminium drop-in cases. They have threads inside so lower part of pill will be still 16mm, but it is possible to make the pcb shelf bigger (for different reflector or optics). If you are interested in this option, please choose what pcb and optics you are going to use. Oh I see. Sorry for the confusion. Received my order! Crazy fast shipping and great machine work. Will buy from again. What type Maglite D Does the dropin fit? The older incandesent bulbs or led? I have a couple older D Maglites I want to upgrade. I never had Mag D in my hands, but I suppose my drop-ins can fit any version if its bore is not smaller than drop-in size (34.25mm). Received my order super quick! This was my 3rd order and each time it’s been efficient and exactly what I was expecting. I highly recommend! Hi! Do you have any spacers for the Convoy M2 for a quad? I will think about making some of them. I would like one as well, prefer aluminum if given the choice. Hi kiriba-ru, do you still had some of the maglite heatsink with XHP50 available? Yes, few sets in stock. What about a short tube for the Skilhunt H03?